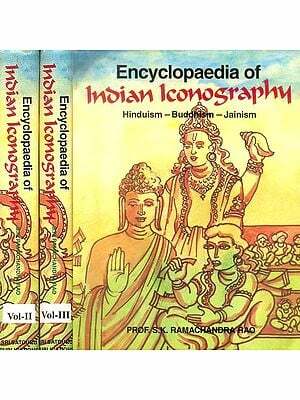 The third volume of the Dictionary of Buddhist Iconography covers entries beginning with the letter C and the first half of the letter D up to Dhupa. Important deities, like Cakrasamvara and Cakravartin, in their multiple denotations show the complex evolution of Buddhist theogony and the social, ritual and philosophical factors that conditioned their interiorization. Categories of deities have been related to their textual sources. For instance, the Thirty-five Buddhas of Confession cab be taken back to the Sutra on the Meditation of Akasagarbha Bodhisattva, which was translated into Chinese in AD 424-441 by Dharmamitra who hailed from Kabul. The identity, antiquity, nomenclature, and etymology of some highly popular deities could be defined by the extensive materials ranging over several centuries and from regions wide apart. Cunda or Cundi is a case in point. The etymology of her name Cunda reminds of the Gayatri mantra (dhiyo yo nah pracodayat). Her epithet Sapta-koti-buddha-matrka was an enigma to masters Divakara, Amoghavajra, Vajrabodhi and Subhakara-simha as early as the seventh and eighth centuries. They did not translate the word koti but transliterated it into Chinese characters. This word usually means 'ten million', but here it connotes 'supreme': sapta-koti-buddha refers to the Seven Supreme Historical Buddhas. Likewise, the Chinese translation of Buddha-matrka as Fo-mu 'the Mother of Buddha' has been ambiguous if not misleading. Buddha-matrka means a 'Buddhist goddess'. Mandalas and raksa-cakras from Tibet are an aspect of the role of Buddhist deities in the daily life of the lay disciples. (iv)	arhat is free from all the ten fetters: plus craving for refined corporeality, craving for corporeality, conceit, excitability ignorance (avidya). 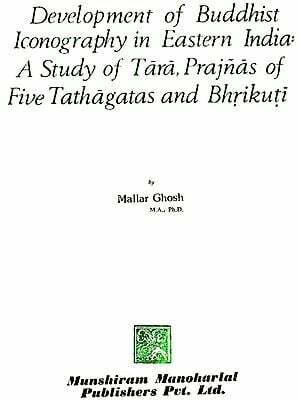 Dharmatala the householder with his tiger could have come from Khotan to accompany the Chinese Hva. San who came to invite the Sixteen Arhats during the reign of the Chinese Emperor Than dzuhi dzun (=Jui-tsung) as related by Dkah.chen Ye.sen.rgyal.mtshan in his Avadanas of the Sixteen Arhats (Dagyab 1977:1.113, text no. 87 on page 123). Jui-tsung was enthroned on 27.2.684, deposed on 16.10.690 (Moule 1957:56, 57). He had a chequered reign and he must have invited the Arhats to sanctify and stabilize his regime by their spiritual powers. These Sixteen Arhats represented the incarnations of the historic Arhats of yore. Dhrtarastra, the Lokapala of the East, has a varied iconography in different traditions. 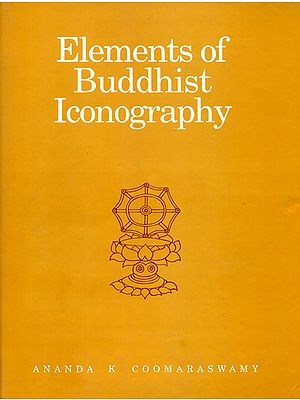 This Dictionary enables us to correlate variations in iconographic attributes to texts or pantheons and to provide a new framework to comprehend the philosophical, ritual, social, political, and other patterns inherent in Buddhist theogony. The next or fourth volume of the Dictionary is already on the computer and it will appear within the next four months. We hope to accelerate the speed of the publications of future volumes.